Former post-secondary education administrator, Amanda Artim, has always been passionate about people. As a teacher, she got to help shape people’s lives by teaching young children, but her new profession helps her explore them in a whole new way. 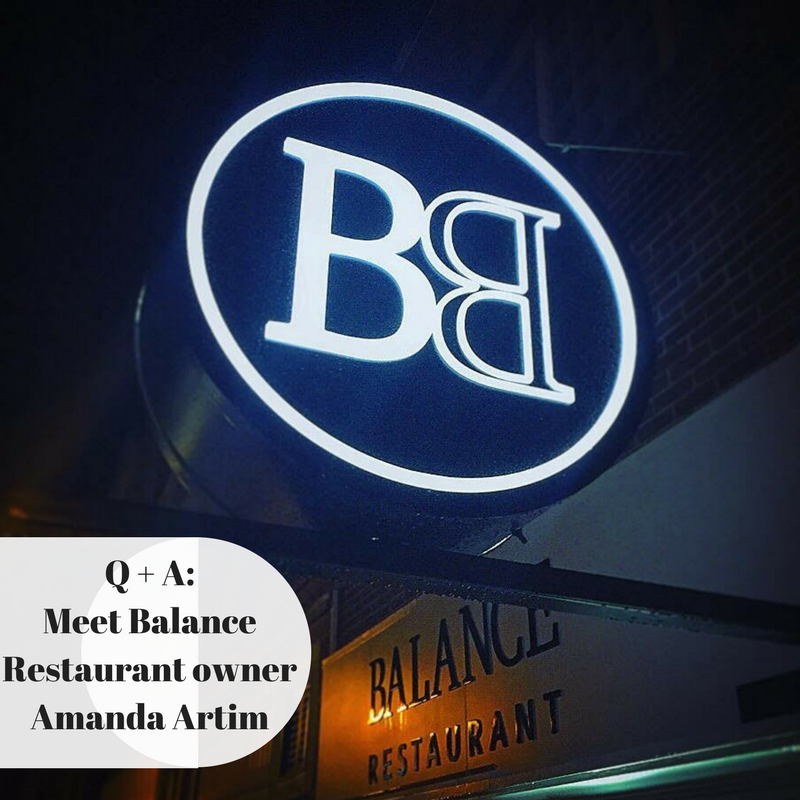 Now the Owner of Balance Restaurant, Artim has been working closely with Carnegie Equipment to give her restaurant the best ambiance and service for her customers. Carnegie provided tabletop items, china, glassware, flatware, and a number of small wares for the kitchen. We interviewed Artim on her new journey as Balance Restaurant Owner and asked her a few questions about the restaurant’s concept. I always had a dream of owning/operating a restaurant. I have a passion for food and a love for people and entertaining. What is your vision for Balance? To fill a niche in the Johnstown area with a great dining experience focused on excellence in food, drink and service. I want to bring my customers back and wanting more. What is your restaurant’s concept? Balance Restaurant will be a juice and smoothie bar by day and a cocktail and small plates bar by night. The goal of Balance Restaurant is simple to bring people together through local and fresh food. How will aesthetics fit into the Balance concept? It will be a mix between rustic and modern to create two different feelings: bright, busy and fast for breakfast and lunch, then low, slow and relaxing for dinner. We hope to create a space that is beautiful, welcoming and exciting. What are the steps that you will take to transfer Balance from a juice and smoothie bar by day to a cocktail and small plates bar by night? The menu will have different featured items of smoothies, juices, grains and greens for lunch, then add in sandwiches, soups and salads for lunch all at a counter style of service. Dinner will feature small plates designed with local, fresh foods with a flair. The focus is on a balance of flavors that develop with each bite. Will you close the restaurant to make the change? The restaurant will close from 3:00 p.m. to 4:00 p.m. to get ready for the dinner service. How has Carnegie helped your business during this renovation period? Service. Carnegie Equipment provided a high level of personal service. They answered questions, provided solutions and made suggestions based on industry knowledge. The presentation of tabletop items really helped the process. What does “Balance” represent for the business? A high level of customer service, with a focus on quality and personal relationships. If you want to kick start your day with a healthy breakfast, grab a quick delicious lunch on the run, enjoy a crafted cocktail or beer after work or have a fabulous evening out, check out Balance Restaurant! Balance is located on 415 Main St, Johnstown, PA 15901. Check out http://thebalancerestaurant.com/ for more information and restaurant hours.